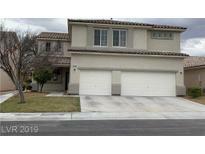 Below you can view all the homes for sale in the Trophy Club At Paradise subdivision located in Las Vegas Nevada. Listings in Trophy Club At Paradise are updated daily from data we receive from the Las Vegas multiple listing service. To learn more about any of these homes or to receive custom notifications when a new property is listed for sale in Trophy Club At Paradise, give us a call at 702-323-5939. Beautiful Home Nested at Gated Community~Minutes from the Strip, Airport, Shopping, Restaurants, School & Parks~Vaulted Ceilings~Formal Living Rm~Formal Dining Rm~Family Rm~Wood Floors~Granite Counters~Tile Floors in All Baths & Kitchen~Master is separate from other bedrooms~Separate Tub & Separate Shower in Master Bath~Covered Patio~Make An OFFER TODAY!! ! MLS#2088783. BHHS Nevada Properties. P.S Turf/New Grass is coming to Front Pad MLS#2072013. BluePrint Realty LLC. This Lovely Home Has A Finished 3 Car Garage , Covered Patio , Crown Moldings , Tile Floors , Vaulted Ceilings In All Rooms , Two Living Areas With Lots Of Natural Light .Freshly Painted , Led Lighting , All Appliances Included ,Spacious Pool Size Lot , MLS#2063409. SOS Realty Group LLC. The kitchen is also upgraded with a new sink and faucet, backsplash with a granite countertop and with stainless steel appliances. MLS#2063459. Wardley Real Estate.